Rotary International is an association of Rotary clubs worldwide. 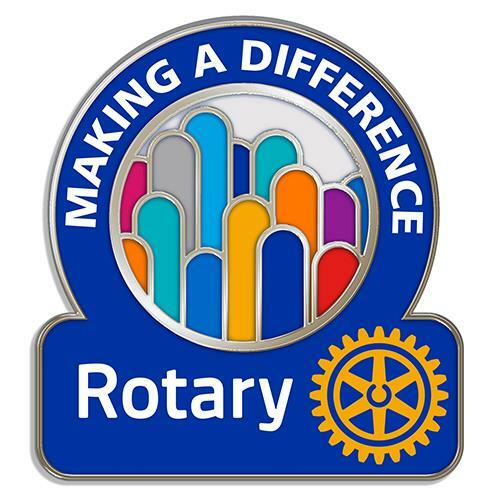 It's made up of more than 33,000 Rotary clubs in over 200 countries and geographical areas. The members of these autonomous clubs are called Rotarians, and they form a global network of 1.2 million business and professional leaders, all volunteering their time and talents to serve their communities and the world. Individual Rotary clubs, in turn, belong to the global association called Rotary International. Find out more about Rotary's history and structure. "A close friend has been a Rotarian for years and asked me to come, the timing finally worked." "For my job I had to visit a number of clubs, Rockland-Hanson just felt right." "I wanted to give back to the community." "It's a family thing for me." Contact us, we will work out a meeting day that works for you and the club. Come for a visit and see if this club is the right fit for you. Attend a few meetings and you'll know, someone from the club will invite you to join at that point and we will welcome you with an official installation. Our Rotary Club motto is "Service Above Self". If you have a project or are looking to help us assist others, please contact us through this website. Rockland Hanson Rotary Club, PO Box 203, Hanson, MA 02341.